I have been (and continue to be) out of town for business purposes, so forgive me for being late to responding to arguably the biggest bombshell to hit college football this season. 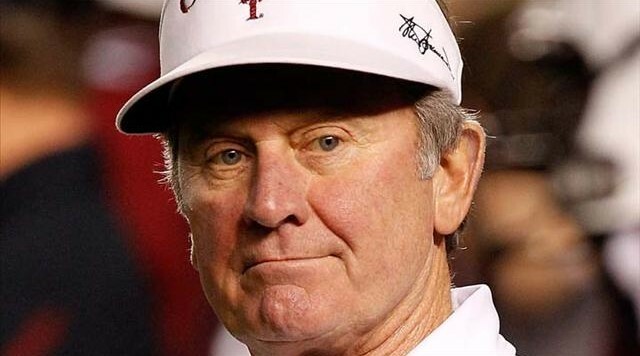 Steve Spurrier resigning from his position as South Carolina football coach. While I could see why this move was inevitable (his team is in the midst of a two year slide, and dude just turned 70 years old), I am still stunned by Spurrier’s departure. I mean, who is going to follow in the footsteps of Spurrier’s bravado? Remember his infamous smack talk of the Tennessee Volunteers while coaching his alma mater Florida Gators? First there was Spurrier smacking Tennesee for always falling short of the SEC championship game and annually qualifying for the Citrus Bowl during his tenure. And who could forget Spurrier cracking on then rival Florida State and legendary coach Bobby Bowden? College football is not going to be the same without Steve Spurrier. I’m personally going to miss the hell out of him.